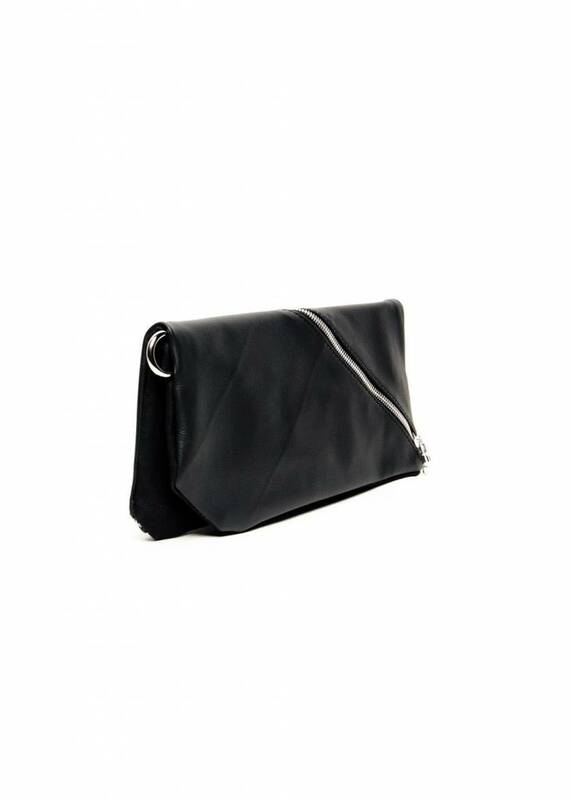 The Diagonal Leather Clutch is a design in cooperation with the talented Dutch designer Anne de Grijff. Diagonal zipper on the front and diagonal lines on the back. Hidden folds on the side. Take it to your next cocktail party. 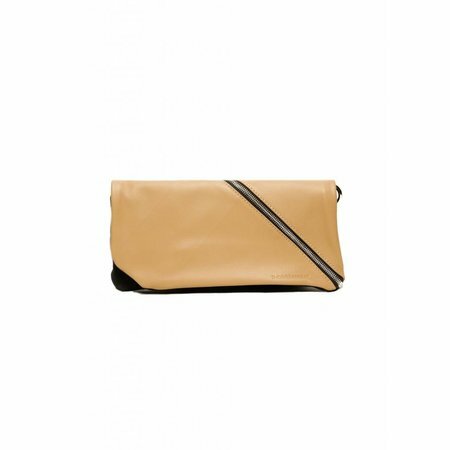 We use eco certified leather of vegetal tanned leather. 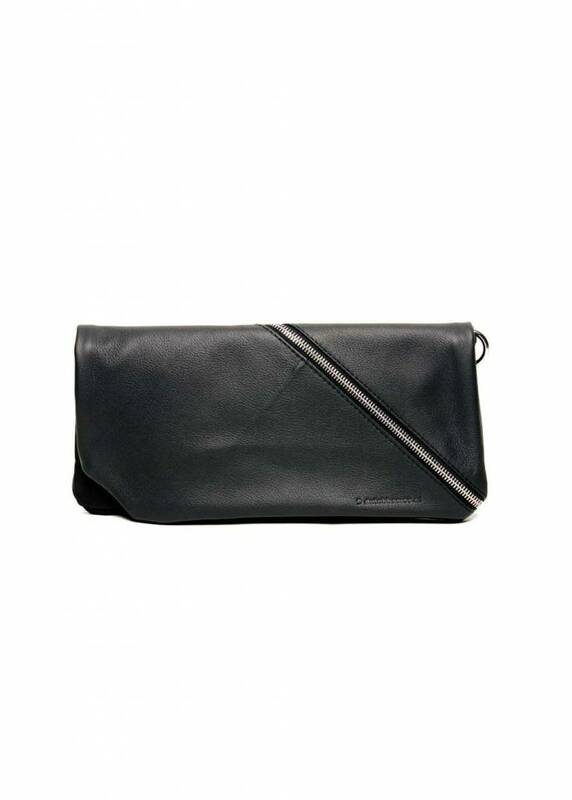 Our leather and canvas are impregnated and water resistant. 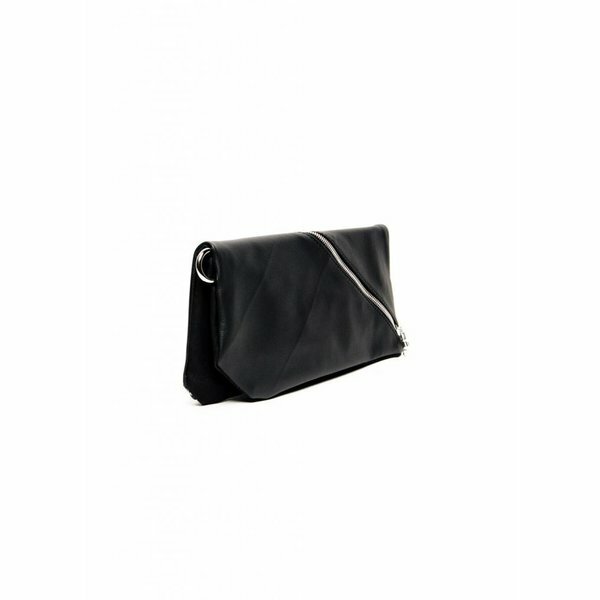 Handle your bags with care so you can enjoy them for a longer period. 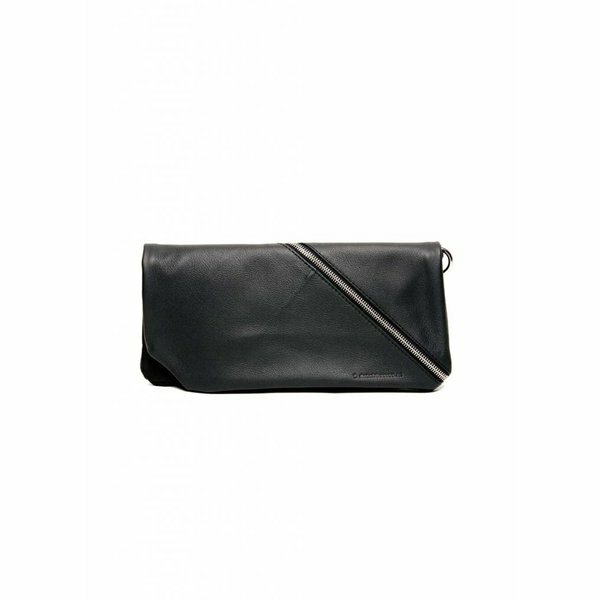 The Diagonal Leather Clutch is a design in cooperation with the talented Dutch designer Anne de Grijff. 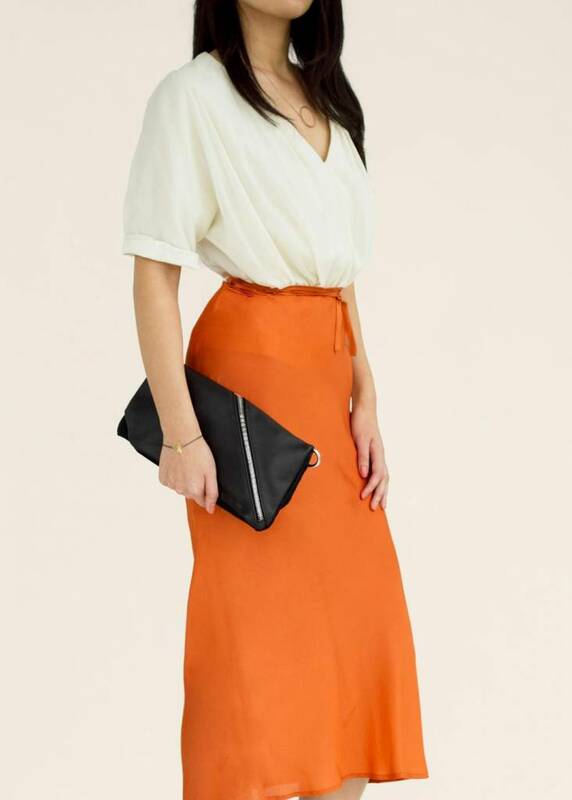 Diagonal zipper on the front and diagonal lines on the back.